BelarusDigest > All > Belarusian “Terrorists” On Trial: Any Hope for Justice? On November 30, a Belarusian court is likely to issue the death sentence to the alleged perpetrators of the April terrorist act in the Minsk metro. 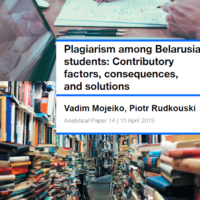 Many in Belarus remain unconvinced that the suspects, two young men from the northern province of Vitebsk, are guilty of such serious crimes. The premature verdict could have major repercussions for the legitimacy of the Lukashenka regime. Contrary to official claims, there remains considerable uncertainty about the identity and the aims of the masterminds of the multiple bombings in Vitebsk and Minsk in 2005-2011. Admitting this uncertainty would undermine the official narrative of national security and stability that underpins the 'social contract' between the authoritarian government and the people. Since 2005, a series of attacks has shattered confidence in public security. The 2005 Vitebsk terror attacks were downplayed by the authorities at the time as acts of hooliganism. The bombing on a national holiday in 2008, which resulted in scores of wounded casualties, already had a more detrimental impact. The attack on the central station of the Minsk subway last April, which killed 15 people and wounding 387 others, dealt a final blow to public confidence. The public prosecution office has charged one of the defendants, Dmitry Konovalov, as the perpetrator of the Minsk bombing. He is also accused of illegally acquiring and storing explosives as well as producing at least twelve improvised explosive devices (IEDs). 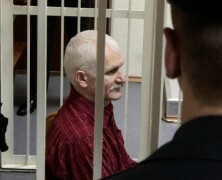 The prosecutors accuse the second defendant, Vladislav Kovalev, of being Konovalov's accomplice in the 2011 Minsk bombing. In total, the accused face 23 charges. According to the prosecution, Konovalov and Kovalev have committed a total of ten crimes over the past decade, including four major bombings. A criminal dossier presented in the courtroom even refers to crimes committed when the suspects were just 14 years old. Many among the Belarusian public find these allegations dubious. The popular blogger Budimir voiced the thoughts of many Belarusians when he asked how Konovalov, a silent and passive blue-collar worker, managed to lead a ten-year terror campaign and succeeded in detonating a bomb some 100 meters from the president at a 2008 public event. The defendant himself has literally cited a paragraph in the Criminal Code to define his motives: “To destabilize the situation in the Republic of Belarus.” The investigators failed to identify any affiliation of either of the suspects with a political party or ideology. Notably, some victims of the 2011 terrorist attack testified that they did not consider the suspects proven guilty. A dissident and former investigator, Zmicier Petrushkevich, stressed that the only evidence is found in the defendants' confessions. Apparently, the Belarusian system of justice, like its Soviet predecessor, operates according to the principle of Stalin's hangman Vyshinsky: taking confessions from the accused as its best evidence. In most developed countries, the reliability of such evidence would be questionable. In fact, Konovalov claims he was tortured and endured psychological pressure. Petrushkevich points out numerous contradictions in the prosecutor's claims. For instance, investigators have found no traces of explosives in the defendant's flat despite allegations that Konovalov had produced them at home. The bag in which the accused allegedly brought the bomb to the site has also mysteriously disappeared. Oddly, the investigators did not consider the possibility that the bomb might already have been brought to the site by someone else prior to Konovalov's arrival. Perhaps most astounding is the fact that the bomb used in Minsk on Liberation Day in 2008 was most certainly produced under professional laboratory conditions. The cellar identified by investigators as Konovalov's 'lab' certainly does not live up to these standards. Other details are also dubious. Konovalov's attorney has stated that the videotape showing the defendant before and during the explosion was edited. But the court denied the request to use this videotape. For unexplained reasons, the court also refused to summon the police officers who had arrested the alleged terrorists. Who trusts the Belarusian judiciary? The court case raises the acute issue of capital punishment. President Lukashenka likes to refer his foreign critics to the 1996 referendum, in which 80.44% of Belarusians voted against abolition of the death penalty. Although the vote was denounced as fraudulent by international observers, Lukashenka stresses his respect for the will of the Belarusian people and points out that the decisions adopted by referendum are above the constitution. This time, however, the doubts about the guilt of the accused are simply too great. This past Saturday, Lukashenka seemed to partially acknowledge this reality. Though once again demanding the harshest punishment for 'terrorists', the president suggested for the first time that capital punishment for Konovalov and Kovalev might be substituted with life imprisonment. Lukashenka may be reacting to public discontent. In April, more than 60 percent of respondents at tut.by, the most popular Belarusian web-portal, said the explosions were organized by the government. The court proceedings only increased public skepticism about the defendants' guilt. The doubts are not so much caused by the minutiae of the investigation or the allegations of torture as by lack of public trust in the police and security agencies. This lack of trust can be led back to the many known cases of violent interrogation in Belarus. One of the most spectacular is the so-called 'Vitebsk case'. In 1971-85, 36 women in Vitebsk region were murdered, and the local courts sentenced 14 men for the crimes that, as later turned out, were committed by one man. One of the 14 suspects was executed, another became blind in prison, and the rest endured years of incarceration. Their admission of guilt was an inevitable outcome of the unfair system of justice. The analogy with today's terror case is evident. While there is concern that innocent men may be executed, the continuing uncertainty about who actually committed the Minsk bombings has raised concerns about public safety as well. This strikes at the very heart of the legitimacy of the Lukashenka regime – security is a basic concern for every human being, and the regime knows it needs to provide this public good. To be fair, the stories about the Russian involvement or provocation by the Belarusian security agencies seem implausible. But the public prosecutor's claim put forward in court is no more convincing. This suggests a more problematic reality: the government exerts less control over Belarus than it often claims.